Bioinformatics and Biomedical Data Sciences:Semantics, Analytics and Knowledge provides an overview of the approaches used in semantic systems biology, introduces novel areas of its application and describes step-wise protocols for transforming heterogeneous data into useful knowledge that can influence healthcare and biomedical research. Given the astronomical increase in the number of published reports, papers, and datasets over the last few decades, the ability to curate this data has become a new field of biomedical and healthcare research. However, this kind of data cannot be handled by the same approaches traditionally used by biomedical scientists and epidemiologist, and it requires high-throughput approaches of semantic and text analysis to curate, understand and disseminate the knowledge hidden in this big data. This book discusses big data text-based mining in order to understand molecular architecture of diseases and to guide health care decision. Additionally, it presents actual research examples to be used as a practical tutorial. 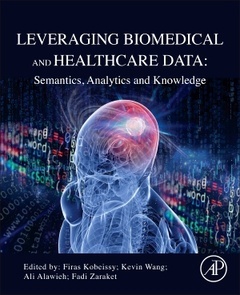 The book is a valuable resource for bioinformaticians and members of several areas of biomedical field who are interested in understanding more about how to process and apply great amount of data to improve their research. bioinformaticians; graduate students in systems biology; members of biomedical field interested in data mining and data integration technologies.